Movies, sports, and even video games are all brought to life with a custom home theatre. Imagine a dedicated room in your home, well equipped with a high-resolution 4K UHD projector, a CinemaScope screen, heart-pounding Dolby Atmos 9.1.6 surround sound speakers, plush leather seating, and just the right lighting to set the mood. That room will become your entertainment oasis. 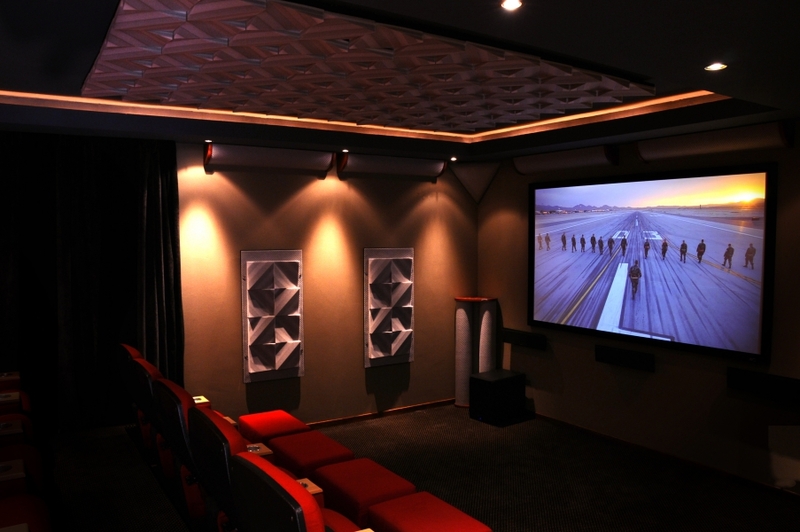 Whether you're building a new home and can work with our team to design the ultimate theatre from the ground up or you have an existing home and a room that you see has the potential to get the ultimate makeover into that one-of-a-kind home theatre, our team is the premier choice to create the home theatre of your dreams. 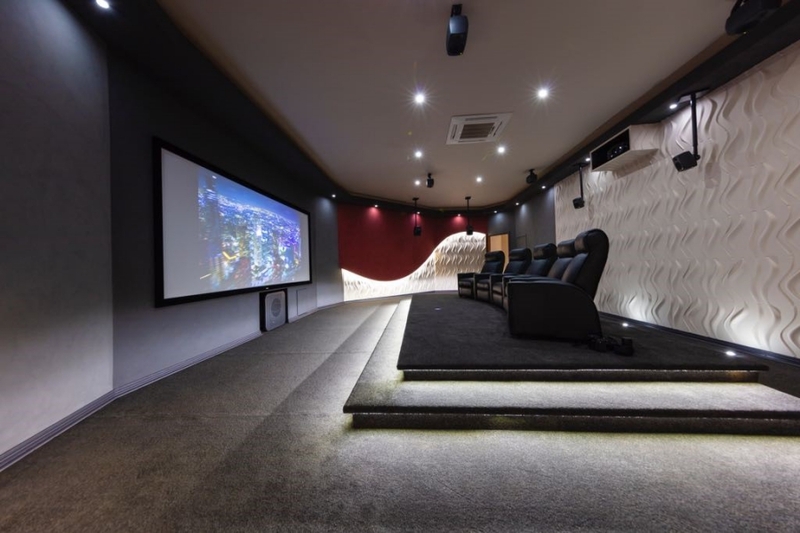 Visit our gallery for examples of home theatres we've installed. Call today to schedule a free consultation. Sitting in a chair that provides pure comfort means that there will be nothing to get in the way of being truly absorbed in whatever movie you are watching. Experience quality relaxation and the rich choice of features and design elements in our theatre chairs that empower your media experience. Acoustic panels allow you to improve the quality of your sounding environment while also enhancing the aesthetics of the room. The panels improve tonal balance, movie intelligibility and minimize sound reflections. Enhancing the acoustics and aesthetics of your entertainment space will improve your enjoyment of your home and your music.